Listed on January 25, 2016 by Arvon in Blogs! The post Arvon Freehouse of the Imagination: Russ Litten appeared first on Arvon. Listed on January 25, 2016 by Chris Rowbury in Blogs! In a couple of weeks I’ll be looking at on-line payments and ticketing systems in the next post in this series of money matters. Listed on January 19, 2016 by Arvon in Blogs! The post Arvon Grants: Emma-Louise Norry’s Arvon Week appeared first on Arvon. Listed on January 18, 2016 by Chris Rowbury in Blogs! I started a brand new project last weekend called Sing Out Saturdays. It’s a monthly drop-in singing session for anyone who loves to sing. It was quite clear that many people came with little idea of what was going to happen! I thought I’d answer some frequently asked questions about what to expect at one of my workshops. Even if someone has been to lots of singing workshops, they might never have been to one which uses the Natural Voice approach. As Natural Voice Practitioners we take our work very seriously, but the singing sessions we run are always fun and relaxed. It often requires people to be a bit silly (to help shed inhibitions) and always involve using the body (in ways which might be unfamiliar to those used to a more formal choral approach). However, even though there is a lot of laughter, messing about and general silliness (and maybe even some weird dancing), the musical results are usually really, really good. So put your prejudices to one side, let all your expectations go and let me introduce you to a typical singing workshop. Q1. Is there an audition and will I have to sing solo? A. There are no auditions. My workshops are open to anybody who loves to sing. No experience is necessary and you will not be asked to sing solo because all songs are sung in harmony with others. My work is all about the joys of singing together. Q2. You say "no experience necessary". Do you really mean that? I have absolutely no experience of singing except to myself! A. Yes, I really mean it! Some people come with some singing experience, but many don't. I've you've ever hummed along to a song on the radio or sung in the shower and think it might be fun to sing with others, you've got all the experience you need. Q3. Do I need to have a 'good' voice? What happens if I sound really awful? I don't want to ruin it for others. A. All voices are welcome. The great thing about singing together as a group is that we can have a real mix of different voices and no individual ever need stand out. As long as you are prepared to have a go, listen well and remember you're part of a group, not on your own, it will be fine. Q4. My friends and family tell me that I'm tone deaf. I don't think I can hold a tune. Will that be a problem? A. Almost nobody is tone deaf unless there is some brain damage. Like any physical activity (e.g. tennis, football), it takes a while to be able to control the necessary muscles to become accurate. It's the same with singing. It might take a while to be able to hold a tune accurately, but remember you are never alone in group singing! You might also find this article interesting: Are you tone deaf? Very unlikely! Q5. Do I need to be able to read music or understand music theory? A. I never use sheet music in my workshops so you don't need to be able to read music to join in fully. I also don't use any unnecessary musical jargon or assume people have prior musical training of any sort. Q6. What does "learning by ear" mean? A. Songs will either have just one or two simple words or I will put large lyric sheets on the wall. You then learn the song bit by bit by me singing, you listening and then singing back. Slowly the parts and the song will build up, all by using your ears rather than your eyes. Q7. What exactly is "unaccompanied harmony singing"? A. The "unaccompanied" bit means that there will be no piano or other instruments playing and I don't use recorded backing tracks. It's just voices only. "Harmony singing" is when two or more notes are sung at the same time. That means the group is divided into different parts or sections of singers, each of which learns a different melody. When all the parts sing together, then it is singing in harmony. Q8. What kind of songs will we be singing? A. I usually give some idea of the songs in the workshop title. For example, Good time gospel or Sing Africa! I tend to draw on traditional songs from all around the world. Some countries don't have harmony singing traditions, so we won't usually be singing songs from Asia or the Middle East for instance. My particular love is for songs from Eastern Europe (Russia, the Balkans, Bulgaria, Georgia, etc.) and Southern Africa. I have been known to run the occasional pop song workshop too! You might also find these articles interesting: I may not know much about music, but I know what I like! and Why don't you sing songs from India? Q9. How will I manage with foreign words? I don't speak any languages. A. Most of my repertoire comes from countries where they don't speak English. Don't worry though, I don't expect you to be fluent in a whole bunch of foreign languages! I carefully choose songs which don't have too many words and I will break the foreign words down into separate syllables. It's sometimes easier to learn in a foreign language because it takes you outside yourself (you become less self-conscious) and you learn syllable by syllable (instead of paraphrasing the English). Q10. What does "natural voice" mean? The NVPN ethos states that "We believe that singing is everyone's birthright and we are committed to teaching styles that are accepting and inclusive of all, regardless of musical experience and ability". Your 'natural voice' is the unique voice that you were born with through which you express yourself. It can be trained to be more free and expressive, but you shouldn't become a slave to a particular technique or try to be someone else. Q11. What happens in a typical workshop? A. I always begin with some physical and vocal exercises to prepare for singing. I believe that the voice is rooted in the body, so there will be a mix of gentle shaking and stretching of both voice and body to prepare us for singing. There will also be some elements of vocal development which will help you to sing without effort and extend your singing abilities. You might find this article interesting: Preparing to sing: why bother? We'll then begin with a simple round or chant and then move onto songs which have three or more separate harmony parts. In a one day workshop I'll often reprise what we've learnt at the end of the day and record it so you can hear how good you sound! Q12. What do you mean by "bring lunch to share"? A. Singing together is a great community and social experience. It's great to extend this to eating together. All the food you bring will be put together on a table and we will have a buffet. People sometimes bring something that they've made at home (it's helpful if you label these! ), or you can pick something up at your local supermarket. I will provide plates, cutlery, etc. I'll also provide various teas, coffee, milk and biscuits for other breaks! Q13. I can't stand up for very long at a time without needing to sit down, is this a problem? A. I always encourage people to stand as much as possible as it's much easier than trying to sing sitting down (and it keeps the energy up!). However, there will always be chairs available and people can sit down if and when they need to, as much as they need to. You can take part fully in my workshops even if you need to sit down the whole time. Q14. What if I've paid in advance for a workshop, but find that I can't attend after all? A. It depends on when you have to cancel and also whether it's a weekend (or longer) course or a one-day (or shorter) workshop. I have a cancellation policy which you can find here: booking terms and conditions. This only applies to workshops that I run myself. Other venues and organisations which book me have their own policies. Q15. Why do your singing weekends cost so much more than your one day ones? A. The cost of a singing weekend includes full board and accommodation as well as all tuition. The cost very much depends on whether it's a venue that I've hired myself specially, or if I'm employed by a residential centre (such as Farncombe Courses) as well as the standards of accommodation: a shared dormitory room in a youth hostel will always cost less than a well-appointed single room with en suite facilities. There will also usually be far more singers in a one-day workshop so the costs can be kept down accordingly. Once you've considered the smaller group, great food and lovely accommodation, a singing weekend starts to look like good value! Q16. What's the structure of a typical singing weekend? A. Typically singers will check into the venue in the late afternoon on the Friday. Our first session will be before supper at around 5pm for an hour or so to introduce each other and to gently start singing together. Supper won't be too late (6.30pm or 7pm usually), then the Friday evening is free to mingle, visit the bar and get to know each other. Saturday and Sunday mornings each start around 10am with a warm up and go on until lunch at 1pm, with a half hour mid-morning break for tea and coffee. Saturday after lunch is free to chill out or discover the local area. We reconvene for a session before supper, and then have a relaxed, fun evening singing session on the Saturday evening. Sunday morning is spent going over all the songs we've learnt and we end up running through them all just before lunch to feel that everyone has really got them under their belt. The weekend ends after lunch at around 2pm. There are around nine hours of formal singing sessions over the weekend, which equates to the equivalent of two one-day workshops. The structure is quite loose so there is plenty of time for relaxing, walking and generally chilling out with a long 3 1/2 hour break on the Saturday afternoon. Q17. What if I have a question that isn't covered here? A. Do feel free to ask me any questions when you are at a workshop, no matter how 'daft' or elementary they may seem. You can also contact me directly and ask. Listed on January 13, 2016 by Arvon in Blogs! The post Jonathan Asser’s Arvon Journey: From Poetry to Scripts appeared first on Arvon. Listed on January 11, 2016 by Chris Rowbury in Blogs! Listed on January 5, 2016 by Arvon in Blogs! The post Speculative Fiction, What Ifs and Making Things Up appeared first on Arvon. What single thing will make you a better singer this year? Listed on January 4, 2016 by Chris Rowbury in Blogs! It’s that time of year when lots of us make New Year resolutions, then a week later usually abandon them! The secret is to be realistic. So how about choosing just one thing to change this year? With the best intentions in the world, there are so many things that we promise we will do differently or better when we sing. It might be to get to choir on time each week or to check your posture each time you sing or to make time to really learn the lyrics for your next concert or to stop chatting in rehearsal whilst others are learning. There can seem to be so many things we need to work on that it can feel overwhelming. It’s so easy to make a long list of New Year resolutions with the full intention of fulfilling them all. But inevitably we bite off more than we can chew, end up feeling a bit of a failure, and maybe not achieving even one of our goals. Just choose one. Make it clear and simple: something you want to change, i.e. start doing, improve, or stop doing. Write it down in big letters and pin it up somewhere prominent (or put it in your choir folder). Who knows, you may make the single change you want, then find there’s room for another! You might find it useful to read an earlier post of mine called What small change will make you a better singer or choir leader? And do let us know how it goes. Sharing your one goal in public can be great incentive to making the change! Listed on December 28, 2015 by Chris Rowbury in Blogs! Listed on December 22, 2015 by Arvon in Blogs! The post My Arvon Week: Pregnant Pause appeared first on Arvon. Can singing together bring about world peace? Listed on December 21, 2015 by Chris Rowbury in Blogs! The world can be a terrible place sometimes as we’ve seen in the news lately. It’s hard to imagine how a single person can make a difference. Can singing together or being in a choir bring about change? Most of us ask ourselves at some point: am I contributing to the world, how can I help others, am I doing enough? It can be overwhelming to think of all the troubles in the world and how you, just one person, can possibly make a difference. I sometimes feel like I’m putting my head in the sand when I am leading a singing workshop or a choir. It all seems so frivolous and irrelevant compared to the horrors of the world. But it’s what I do and I have a passion for it. I know that singing and music has the capacity to heal and to connect people, but is it enough to change the world? As individuals we can’t do everything. We have to focus on one or two things and do them well, whether that be driving provisions to refugee camps in Calais, or manning phones for humanitarian funding appeals. We should play to our strengths. Some people are great at logistics — organising supplies and volunteers — whilst others are brilliant to persuading people to donate to good causes. My strengths are as a teacher of songs and choir leader. They may not seem to be practical skills that can help the world directly, but it’s what I have to offer and I think I can justify it. I am constantly reminded by participants in my choirs and workshops of the joy that singing together brings. Participants are truly lifted by the communion and community and by building something together without any barriers of gender, class, race, religious belief, etc. Singing together helps to ground, relax and uplift the participants. They get to take a break from the everyday and can’t help but be in the moment. I take solace from the fact that they then take some of that joy away with them and are re-energised to do what they do best and so it gets passed on. Here are a few inspiring quotes from musicians about how music can help to bring about peace. “Radicalism and intolerance are the products of ignorance … This is why the best way to fight radicalism is to turn ignorance into knowledge by giving the ‘other’ a name, a face and a voice. Singing in a foreign language enables us to do just that.” María Fernández-Toro of Multilingual Singing. I wish you all a peaceful Christmas. Listed on December 14, 2015 by Chris Rowbury in Blogs! Listed on December 7, 2015 by Chris Rowbury in Blogs! It’s that time of year again (in case you haven’t noticed). The magazines are full of Christmas present ideas, but they always seem to miss out choir leaders. So here are some perfect presents for any choir leaders in your life (hint, hint!). It can be tough to come up with ideas for great presents for your choir leader. But I’m here to help. 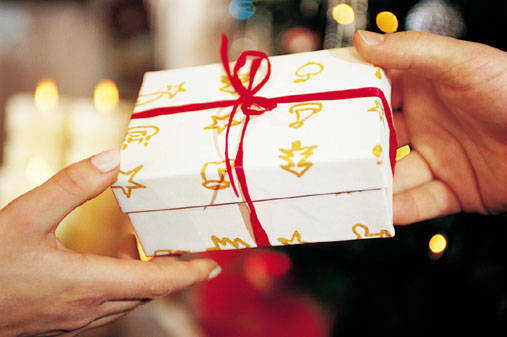 Here – in no particular order – are 10 ideas for perfect presents for choir leaders. a stick – to conduct with, but also to hit choir members with when they make mistakes. Preferably hand-crafted from sustainable wood, both long and hard with a pointed end. a megaphone – to give audible instructions to the choir when they’re talking too much (which is basically all the time). a massage – to relieve all the stress that’s mounted up over the last choir season. And in anticipation of all the stress that will come with the next choir season. lip balm – to soothe the lip that’s been bitten so often in an attempt to supress what they really want to say. a box – to stand on so that all choir members can see them and perhaps pay attention from time to time. a year’s supply of coffee – to keep them awake each week when running the choir session. And maybe a bottle of whisky to help them relax afterwards. a sparkly coat – or a hat with flashing lights or shiny things to wear at the next concert. You want to be proud of them standing out there in front of the choir. a slave – or personal assistant to follow them around and make notes when they forget what they’ve said at the last rehearsal and to remind them what they’re supposed to be doing next. a memory chip implant – so that they’ll be able to remember every choir member’s name without having to look it up. a month’s holiday in the Caribbean – they deserve nothing less for all the selfless work that they carry out carrying the choir single-handedly and bringing so much joy to people’s lives. Next week: ideal presents for the choral singer in your life. Listed on December 1, 2015 by Benslow in Blogs! The Benslow Music offices will be closed from 5pm on Wednesday 23 December and will re-open at 1pm on Friday 1 January. Any emails, booking forms or messages received during this period (including online applications) will be addressed on our return. Listed on November 30, 2015 by Chris Rowbury in Blogs! Listed on November 23, 2015 by Chris Rowbury in Blogs! Listed on November 18, 2015 by Arvon in Blogs! The post Wyl Menmuir – From Starting to Write to publication appeared first on Arvon. Listed on November 16, 2015 by Chris Rowbury in Blogs! Listed on November 9, 2015 by Chris Rowbury in Blogs! Listed on November 4, 2015 by Arvon in Blogs! The post Cooking and Eating on an Arvon Week appeared first on Arvon. Listed on November 2, 2015 by Chris Rowbury in Blogs! Listed on October 26, 2015 by Chris Rowbury in Blogs! Listed on October 22, 2015 by Arvon in Blogs! The post Tricia Durdey’s Arvon Week appeared first on Arvon. Listed on October 19, 2015 by Chris Rowbury in Blogs! The rehearsal begins and the Altos looks around in panic: “Where’s Carol?” Carol is a strong, confident singer, but she’s not here this week. The trouble is, the Alto section has come to rely on Carol, and now that she’s not here, they’re all a bit lost. How has this situation arisen, and what can be done about it? Of course, it’s not just the Altos. Any section can get into the habit of depending on one singer to keep them on track. And it doesn’t have to be the whole section, it may be just three or four singers who stand next to a particularly confident singer. There are many reasons why this is not a good idea. Maybe you’re one of these (seemingly) confident singers who ends up being relied upon, or perhaps you’re a slightly hesitant singer who leans on someone who seems stronger than you. Either way, what can be done about this situation? First of all, it’s the choir leader’s responsibility not to let this happen in the first place. If they haven’t noticed, then draw it to their attention. There are plenty of rehearsal techniques they can use to make sure every singer is equally confident and equally responsible for their own contribution without placing pressure on individual singers. If you’re an apparently confident singer who picks things up quickly, you may find that the singers around you start to rely on you. This can put a lot of pressure on you as a choir member, especially since you want to have a good sing and be part of a team, not a leader. If you’re a hesitant singer who lacks a bit of confidence, you may end up relying on someone who you think is somehow better than you. It’s not always the case though – they may be finding it as difficult as you, but just appear to be comfortable and don’t have a problem with singing out. Then it’s a case of the blind leading the blind! I’m sure there are lots of other clever tactics that can be used. Do let us know if you’ve been in the position of being relied upon to much or finding yourself having to rely on another singer. How did you resolve the situation? Listed on October 12, 2015 by Chris Rowbury in Blogs! I was trawling through a bunch of choir websites the other day in order to send out some information about a workshop I’m running. I was amazed how hard it was to contact many of them and in general how badly designed many of the websites were. I’ve come up with 10 mistakes that you should avoid. You don't have to be a web designer or computer expert to create a good, functioning website for your choir. It doesn’t have to have lots of bells and whistles, but increasingly, if you don’t have an online presence people aren’t going to be able to find out about you. I’m amazed at how many awful choir websites there are out there. It doesn’t take a lot of time or effort to get it right, and it will make you look a lot more attractive and professional to concert bookers and potential recruits. Here are 10 mistakes that you should avoid. don’t hide the “Contact Us” link – you’d think some choirs don’t want to be found! How on earth will you get concert bookings and new recruits if people can’t contact you? Make sure there is a clear “Contact Us” link on every page of your website and don’t just hide it at the bottom. make sure there’s an email contact – people have found your website on the internet. They are using a computer so they’ll usually want to email. Make sure you don’t have just a telephone number. check that your website hasn’t expired – I came across many choir websites in directories, but when I clicked on the link the website didn’t exist! Make sure your domain name doesn’t expire (you need to renew it every year or so). If you’ve got a brand new website name make sure the old name links to the new one. It doesn’t look very professional if your website address doesn’t work. have your own website – don’t rely on a listing on the council’s website or be part of somebody else’s. It’s important you have your own, independent website with its own name. It doesn’t have to be flash or big, an internet presence with some basic details and contact information can be enough. avoid boring photographs – you might think they look great, but bear in mind you want to attract new members and new audiences. I’m amazed at how many old-fashioned choir photos are still being used with lots of (usually old) people sitting in rows with the same uniform on. Dull, dull, dull! ensure that your website hasn’t been hijacked – or domain name expired. I found what looked like a really interesting site, malevoicechoir.net I assumed it would be a list of male voice choirs, but click it and see what you think. Clearly somebody had let the registration expire and a Japanese company has bought it. keep all your links up to date – there’s nothing worse than clicking on Concerts or Useful Links on a choir website only to be told the page doesn’t exist. speed your site up – some websites took so long to load that I simply gave up and moved on. This is often to do with huge image files (like photos) on the site. You want people to visit your site and stay on your site. Also Google has started to penalise slow loading sites. have your own domain name – even if you’ve used some kind of website builder or software package, it’s much better to have a website name like mychoir.com than mychoir.wordpress.com or wix.com/mychoir Also, have your own host so you have more control. don’t rely on a Facebook page – some choirs think that having a Facebook page is a cheap and easy way of having an online presence. However, you have far less control, can’t design the layout, and only a very small percentage of people will see all your posts (due to Facebook’s algorithm). By all means have a Facebook page as well, and make sure you put your website URL in the About section. 11. keep everything up to date – when’s the last time you had a really good look at your own website? Are concert details from 2009 still on there? Are your contact names up to date? Can it do with some new photos? Have you got your latest dates on there? All easy fixes, but do it regularly to keep on top of it. Listed on October 7, 2015 by Benslow in Blogs!